Copenhagen has overcome stiff opposition from Eindhoven (the Netherlands) and Montpellier (France) to win the 2017 European City of the Year award. 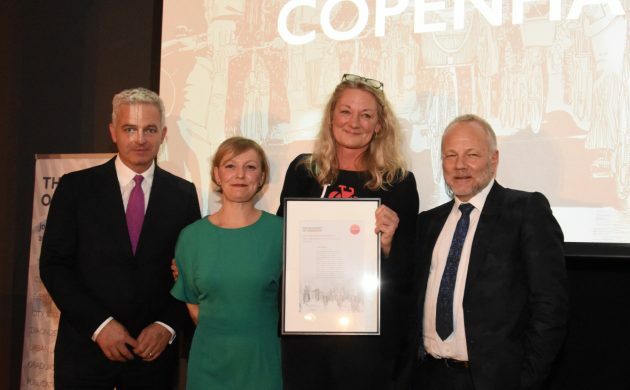 Awarded annually by British organisation The Academy of Urbanism, the award applauds the Danish capital’s new vision to foster green living and good conditions for pedestrians and cyclists. The Academy of Urbanism jury travelled to Copenhagen in August and visited Sluseholmen, Israels Plads, Cykelslangen and Kødbyen, the meatpacking district, among other areas of the city. Copenhagen’s deputy major for technical and environmental issues, Morten Kabell, praised his city for taking responsibility for reducing CO2 levels and letting its citizens better influence its development. It’s the second time Copenhagen has won the award – the first being back in 2006.